Evidence of a plaza dotted with ancient pyramids have been found by researchers from the University of Houston and the National Center for Airborne Laster Mapping and is now reclaimed by the jungle on the east side of Honduras. 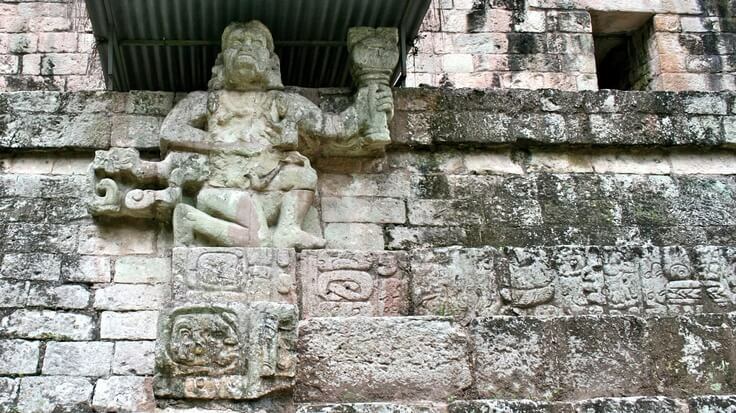 On the western end, there is a city of Copan, the site of ancient Howler Monkey God statue. In the Ramayana, Kishkinda Kanda tells the story about the Trident of Peru in South America, and also about Yuddha Kanda, a war episode where Hanuman travels to Paatala Loka, somewhere in Central America and Brazil, trying to meet his son Makaradhwaja, who resembled him.